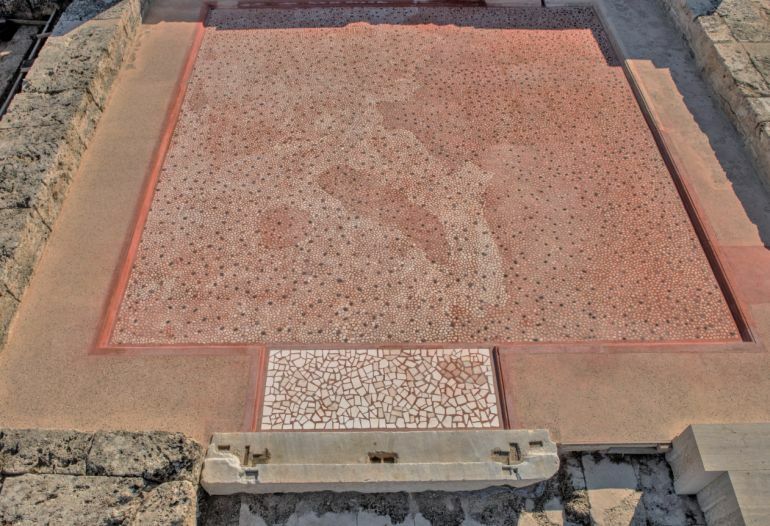 In terms of sheer size, Philip II’s palace at Aigai, in the area of Pella (the capital of the ancient kingdom of Macedon), boasts around 70,000 sq ft in the area – which is three times the area of the Parthenon and also more than that of an American football field. 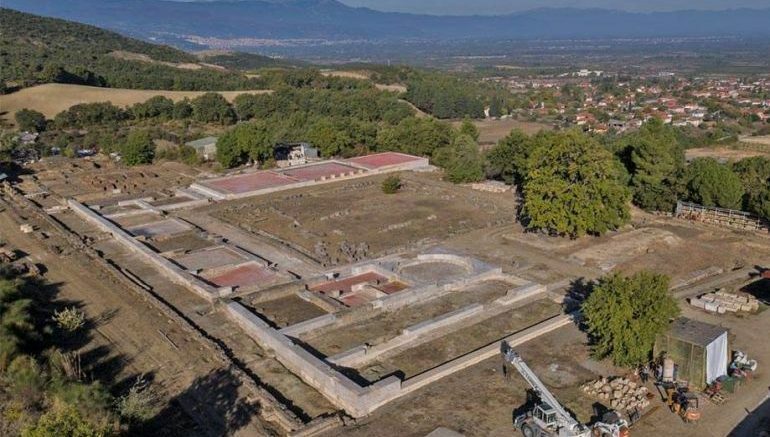 And now researchers, experts, and stonemasons from the regional Imathia antiquities ephorate are busy in the ambitious reconstruction project of the magnificent complex that would lead to the public opening of Philip II’s palace by May of this year. When Philip II of Macedon (or Phílippos II ho Makedon – Alexander’s father) ascended the throne of Macedon, his realm was beset on the northern side by the ravaging Illyrians and precariously poised on the southern borders with the opportunistic Greeks. 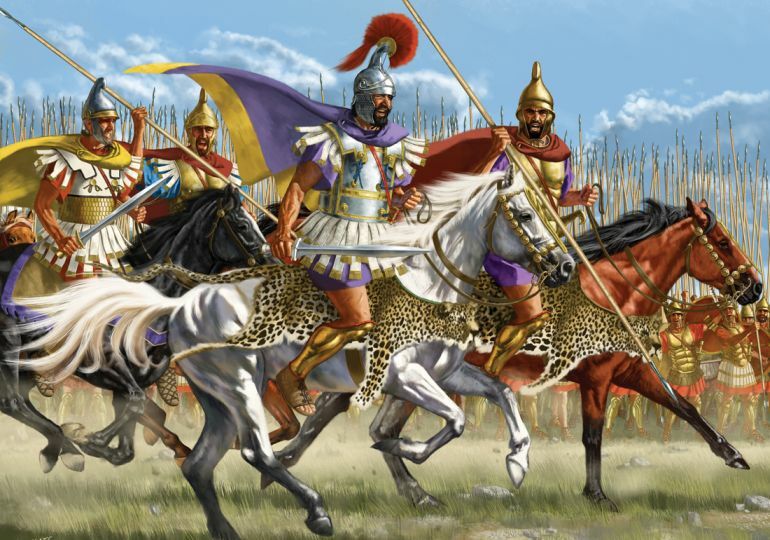 To make matters worse, the Macedonian army was all but vanquished – with their earlier king and many of the hetairoi (king’s companions) meeting their gruesome deaths in a battle against the invading northern tribes. But as the saying goes – “necessity is the mother of all inventions”; Philp went on to initiate a military reform of sorts that focused on training and equipping the infantry levies of Macedon, many of whom came from semi-nomadic shepherding backgrounds (as opposed to the Greek farmer/hoplite tied to his land). Given the massive scale of the structure and its environs, the first order of business for the reconstruction entails the reassembling of the nearly 30 large columns that surrounded the palace’s peristyle (comprising the main courtyard of the palace). Some of these columns, possibly around the number of sixteen (especially on the southern part), rise to a height of 25 ft. 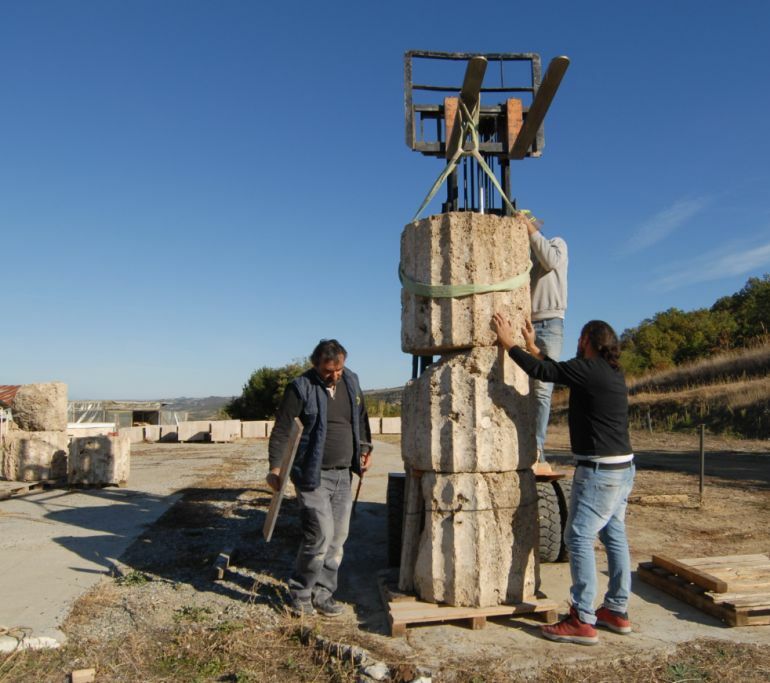 In addition, the modern stonemasons are using ancient techniques to hand-carve the surfaces of almost 7,000 stone-cut blocks (each measuring 3.3 ft x 2.3 ft x 1.65 ft). These blocks will be used to reinforce their original counterparts and the buttress that structurally supports the foundation of the palace. The palace of Philip II was destroyed in the middle of the 2nd century BC, following the conquer of Macedonia by the Romans. Many of its architectural stone parts were used in constructing other buildings. 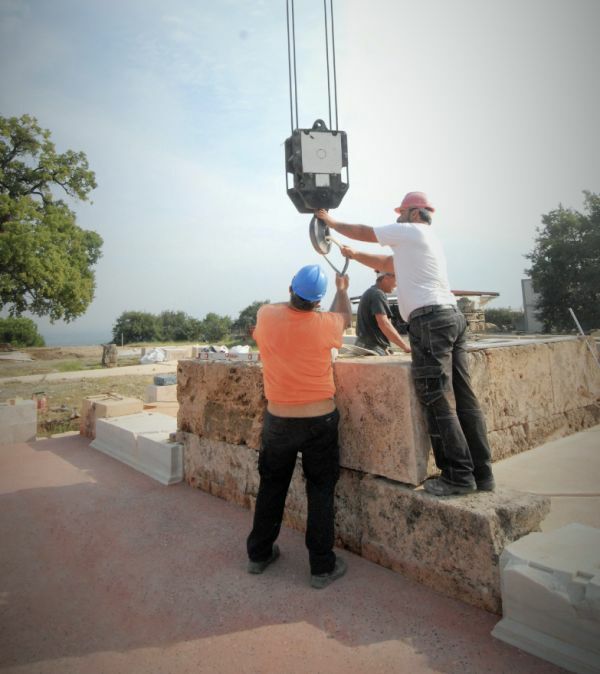 It’s characteristic that many of the stones from the building uncovered by the French excavators in the 19th century were used to build homes housing refugees in the nearby village of Vergina. 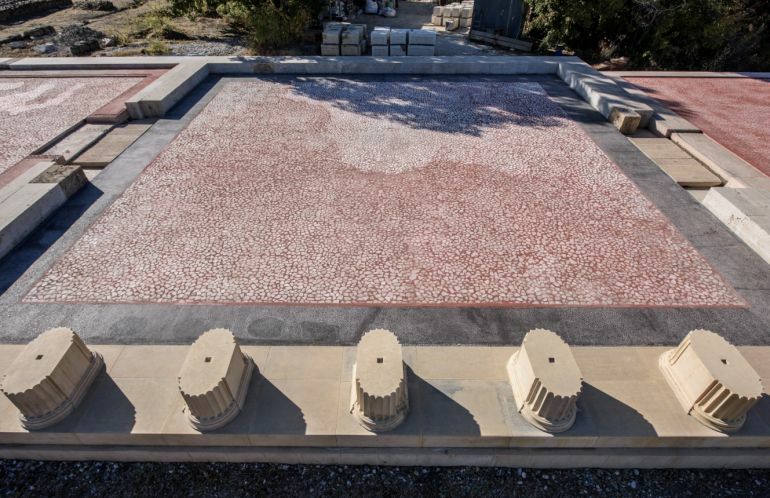 The reconstruction of the Aigai palace complex is particularly significant, as it will provide Macedonia with the most important example of classical-era architecture in the whole of northern Greece. King Philip II and his Companions. Illustration by Johnny Shumate.